Brand new dress! Never worn! 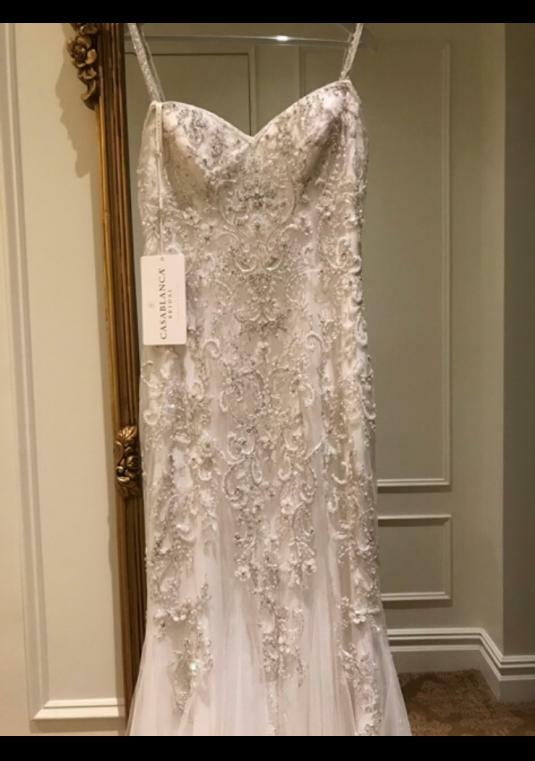 It was bought while I was at my bridal trip in NYC back in May. 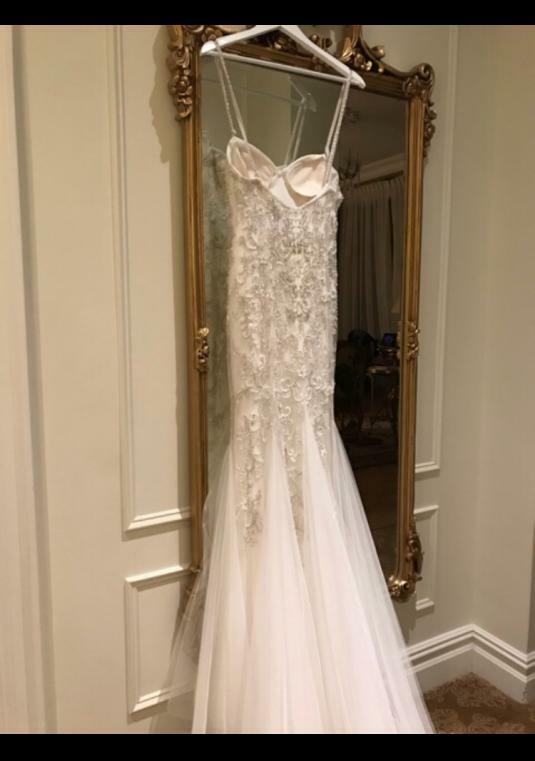 Bought it on impulse while I was hyped up with emotions at my frirst bridal appointment then I went to my second appointment and found my dream dress that I absolutely LOVE for my upcoming wedding! Willing to sell it for $1,800 as I am just trying to get rid of it at this point. I will also pay for any shipping to anywhere in the world! 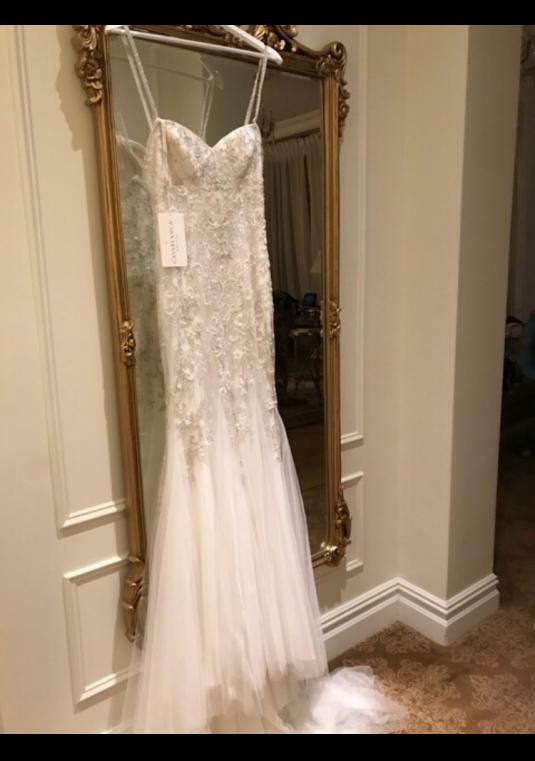 It is a beautiful white/ivory dress, I do especially love the beading and flowy train. 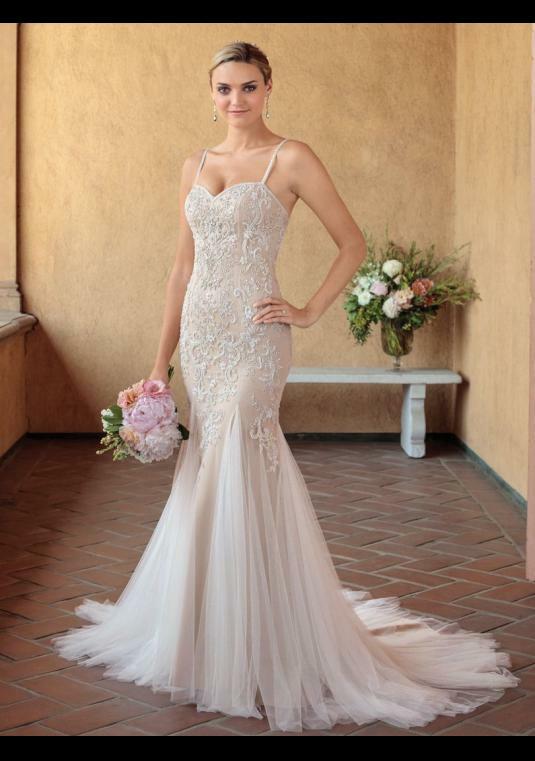 The straps are criss-cross in the back or can be done regularly, though there is also the option of it being strapless which gives it some diverse options! It is a size 8 but will most likely fit a person whom is a 4 or a 6 with minor alteration to be made. Hoping it can go to someone else who will give it the wedding it deserves! I do live in Bermuda even thought my shipping location says New Jersey but there was no other option to choose.